This small village is getting ready for Christmas. 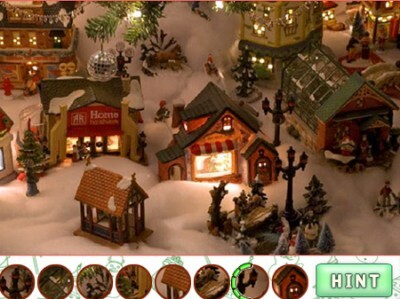 Find the fragments shown in the pictures and get to the next level. Can you make it?